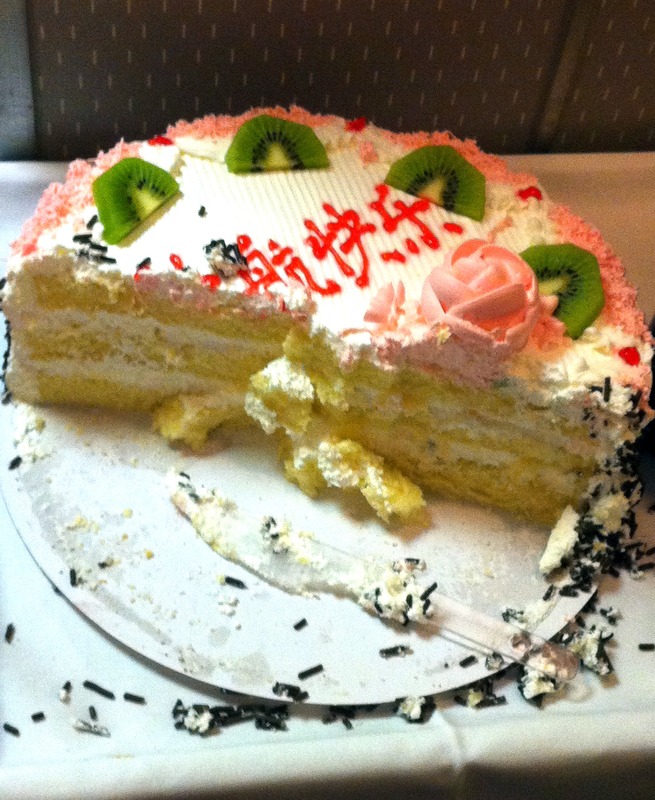 Specialty Cake Creations | The Chinese celebrate with cake as well! Flying out to Phuket, Thailand from Beijing, China we use Air China as airline. We found out that the flight we were on actually was Air China’s first-ever flight on that route from Beijing to Phuket. Half-way through the flight the stewardesses invited us to celebrate this occasion with them. For that they brought out a nice cake, a big fruit platter, and some drinks. 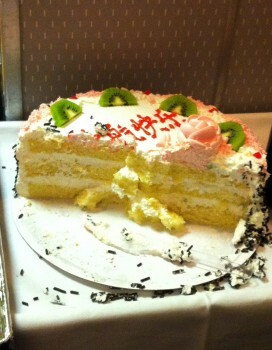 Unfortunately, I couldn’t snap a picture before the cake was cut. I also didn’t try it as I was still recovering from an upset stomach at that time. But it looked like a layered yellow cake filled and structure iced with white icing. Decorations included pink icing flowers, Kiwi fruit slices, and chocolate sprinkles on the sides. As a passionate cake baker it was delighting to see cake being a big part of celebrations here, half-way around the world as well.